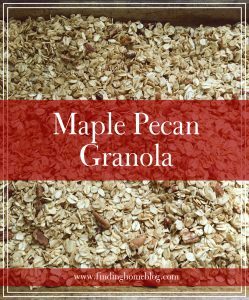 I’ve been selling granola at our local farmers’ market, and this quickly jumped to my most popular flavor. 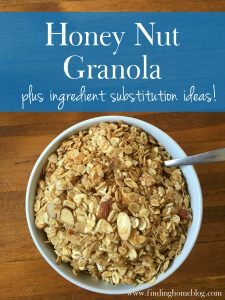 And it’s the one my kids request any time we have granola and yogurt for breakfast or snack. Because they understand chocolate. I’ve trained them well. Preheat oven to 300ºF. Mix oats, almonds, brown sugar, cinnamon, and salt in a large bowl. In separate microwave-safe bowl, melt butter. Add peanut butter and microwave for 10-20 seconds more, and stir to combine. 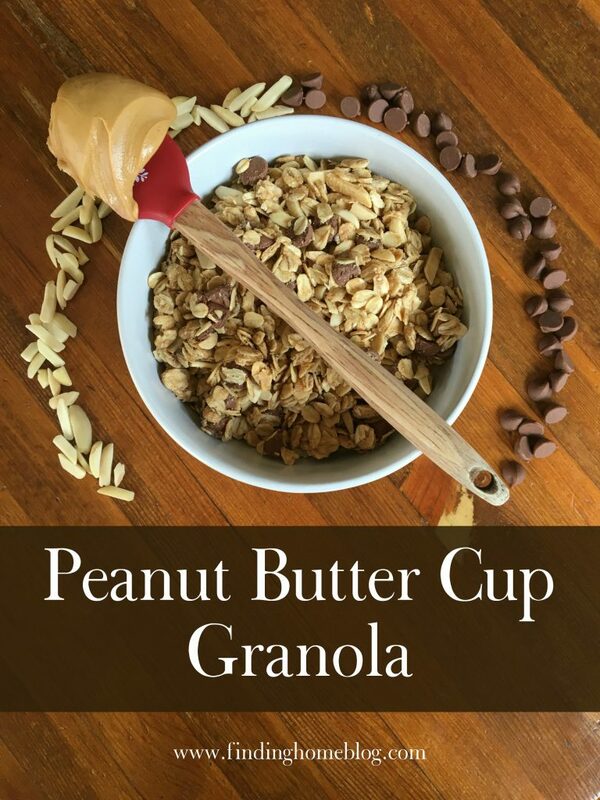 Pour peanut butter mixture over oats and stir to coat. Pour onto two baking sheets. Bake for 25-30 minutes, stirring every 10 minutes or so (check more often towards the end), until golden brown and delicious. Cool completely, then add chocolate chips. Alternatively, cool for 15 minutes, then add chocolate chips while still warm. Let them melt a little bit, and stir a little bit, then let the granola finish cooling. 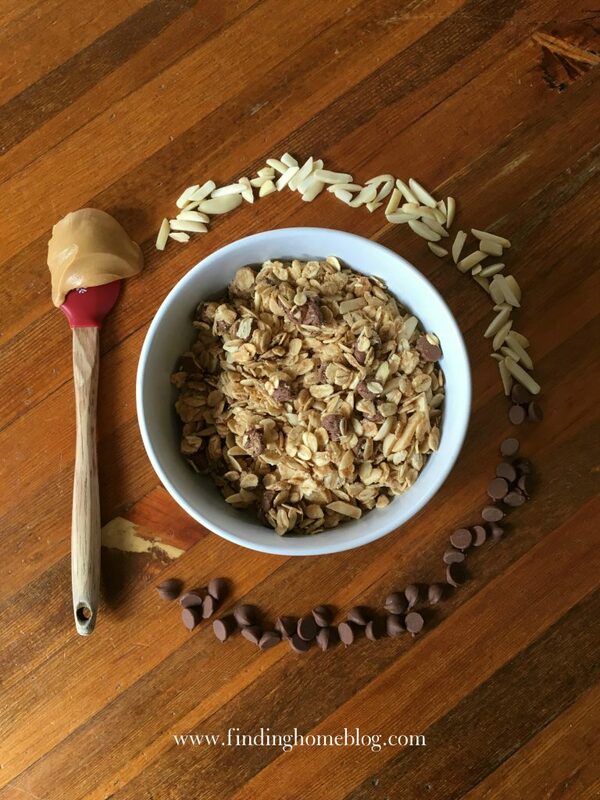 You’ll end up with chocolate granola chunks. This also happens if you take a bag of granola to the farmers’ market and it’s 90º out. 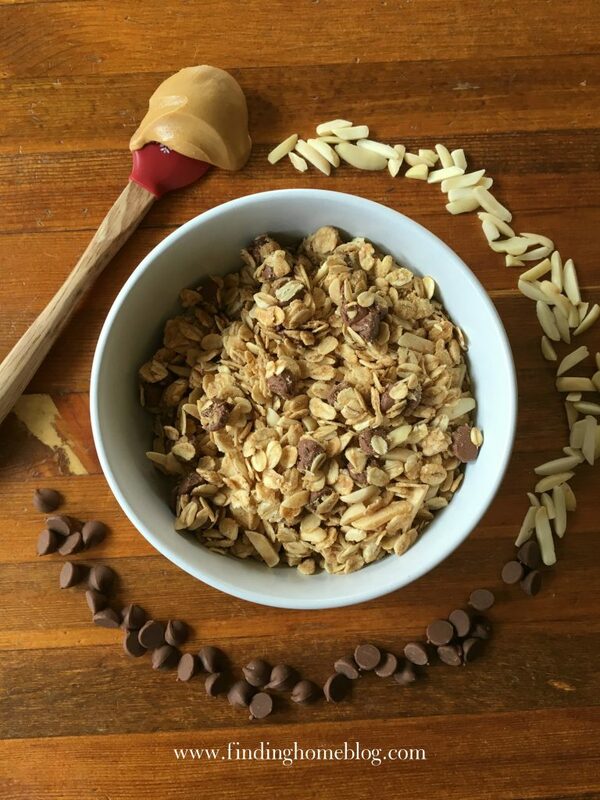 *If you don’t like chocolate, I don’t know why you’re still reading this, but you can also add 1 to 1-1/2 cups of craisins or other dried berries for a PB&J Granola. Still tasty, but not quite as much of a hit as Peanut Butter Cup. Want more yummy recipes? Sign up below to get your copy of Gluten Free Recipes From Finding Home: 20 Gluten Free Recipes From A Mostly Gluten Free Home. You’ll also be the first to know about my NEW cookbook coming out next month: Oat Flour Muffins: Gluten Free Baking The Simple Way. Definitely do! Let me know what you think.